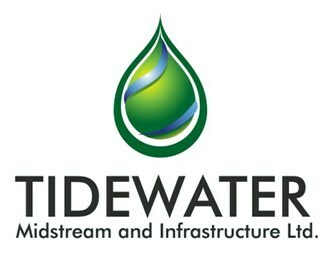 CALGARY, March 22, 2019 /CNW/ – Tidewater Midstream and Infrastructure Ltd. (“Tidewater” or the “Corporation“) is pleased to announce that its Board of Directors has declared a dividend for the first quarter 2019 of $0.01 per common share payable on or about April 30, 2019 to shareholders of record on March 29, 2019. The ex-dividend date is March 28, 2019. This dividend is an eligible dividend for the purpose of the Income Tax Act (Canada). Tidewater is traded on the TSX under the symbol “TWM”. Tidewater’s business objective is to build a diversified midstream and infrastructure company in the North American natural gas, natural gas liquids (“NGL“) and crude oil space. Its strategy is to profitably grow and create shareholder value through the acquisition and development of oil and gas infrastructure. Tidewater plans to achieve its business objective by providing customers with a full service, vertically integrated value chain through the acquisition and development of oil and gas infrastructure including: gas plants, pipelines, railcars, trucks, export terminals and storage facilities.